The book makes reference to Jean de Valette’s proposal that the Order’s seat of government should be transferred from Malta to Tripoli. The Boydell Press, Woodbridge, 2018. The study of early Hospitaller Malta has advanced rapidly in recent years, benefiting from increasing access to archival collections which permit deeper historical investigation at social and economic as well as political and institutional levels. The author of this new study on Hospitaller Malta and the Mediterranean Economy has been instrumental in the rehabilitation of the Notarial Archives in Valletta, and her work is an eloquent reflection of the signficance of the thousands of notarial deeds preserved there for the reconstruction of social and economic realities in past times. Joan Abela needs no introduction in the growing field of Maltese heritage. 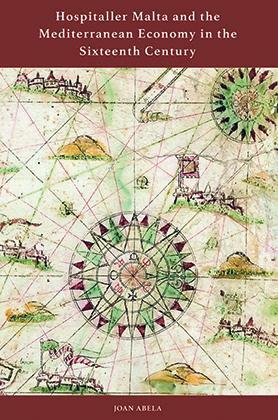 The book’s cover image will immediately remind readers of this connection: a map of the Levant on a piece of parchment, orginally part of a portulan chart of the Mediterranean, which was recycled into the binding of a 17th-century notarial register. In this densely-researched book, which was written as a doctoral dissertation under the supervision of Maria Fusaro, professor at the University of Exeter, the author succeeds in reconstructing important dimensions of early Hospitaller Malta in the wider regional context. As Fusaro points out in her Foreword, the book provides a “nuanced portrait of the socio-economic development of a heavily militarised society”. The Introduction (1-15) presents the wider context of Mediterranean historiography, notably contemporary trends which emphasize institutional adaptation and regional connectivity. Chapter 1, titled ‘New Institutions and Laws 1530-65’ (17-65), outlines some of the relevant late medieval points to be developed under early Hospitaller rule, namely Malta’s dependence on Sicilian duty-free grain supplies, and the role played by its muncipal administrators, the jurats and other officials of the Mdina-based Università which largely functioned according to established Sicilian models. In a long section titled ‘The early legislation and the usurpation of local rights’ (51-60), the author maps the early attempts by the Hospitaller government to consolidate its control over its new dominions of Malta, Gozo and Tripoli, and notes the difficulty the Knights faced in their new role as legislators for different subjects according to Sicilian and Rhodian models. No reference is made in this context to the Hospitaller dominion of Tripoli, home to a substantial Muslim community where the Order of St John was installed by Charles V and faced specific legislative challenges, taking the military order into relatively uncharted territory. The author argues that the Order found it difficult to transfer the island-state model adopted in Rhodes, because of the legal obligations it had towards the Maltese (65). Special concessions were sought, and obtained, for the Greek subjects who settled in 1530. 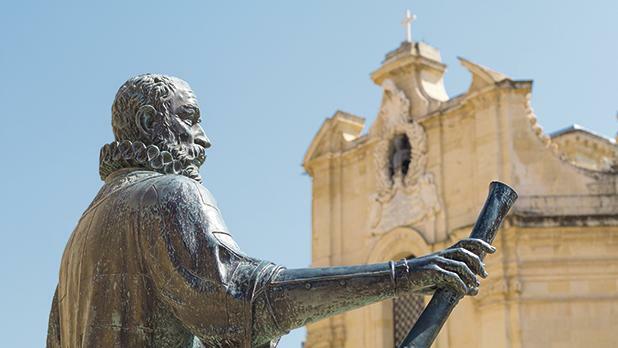 In the early years of Hospitaller rule, Maltese complaints were already addressing the perceived erosion of traditional rights by the new governors, despite the pledge undertaken to respect them in 1530. The book proceeds with three case-studies which illustrate in detail the economic and social evolution of early Hospitaller Malta. Chapter 2 investigates the grain trade (66-111), which was designed to ensure that the islands would be adequately provisioned at all times. The three Università of Mdina, Vittoriosa and Gozo functioned as official agents for grain imports from Sicily, offering local investors the opportunity to participate profitably in the trade. Abela makes the case for the growing lead of the Università at Birgu in this sphere (87). Nevertheless, any trading in grain had to be covered by a licence issued by the Università of Mdina (104). Against the backdrop of a growing population, augmented by the influx of new settlers, the Maltese authorities sought to meet rising demand. Frequent hurdles were encountered in the Sicilian grain ports. While Maltese consuls and Hospitaller receivers were in place to intervene in trading disputes, matters relating to charges on grain importation could be a source of tension between Sicilian viceroys and the Order. Formal confirmation of the old Maltese privilege of the tratte could not always ensure its smooth implimentation in the grain ports, particularly in times of pressure like poor harvests or war. The author shows how merchants resorted to early forms of insurance to safeguard their interests, as shown by a contract of 1545 (100-101). The picture of dependence on Sicily, which confirms the established historiography, provides a backdrop of continuity from late medieval to early Hospitaller times, with rising demand emphasizing the indispensable lifeline of the Sicilian grain ports for the Maltese population and the Hospitaller state. Chapter 3 examines the role played by women in economic activities (112-50). Abela exploits notarial documents to show the participation of numerous foreign-born women in the rapidly-developing harbour economy, while arguing that Maltese women were possibly more inclined to fit traditional roles (150). The author succeeds in presenting the emergence of a new, multicultural, socially diverse and economically vibrant harbour community mainly from the perspective of its female participants. The case studies of female property owners, shopkeepers, money lenders, slaves and servants are presented to evidence the growth of a new society and economy, that of a port city. Women could step into traditional male roles, even as the fundamental institution of marriage and the agency of male guardianship continued to form a cornerstone of social interaction. The skilful management of family assets was a hallmark of the successful businesswoman, while the more adventurous navigated their way along the margins of legality, for instance through the practice of usury. Abela’s research confirms the emerging picture of an active female role in the market economy. The book’s final chapter studies trade with North Africa and the Levant (151-210). Abela studies the commercial taxation introduced by the Spanish governors in Tripoli prior to the transfer of the city to the Hospitallers, who in 1530 inherited a problematic situation of malpractice (161). To the logistical challenges of defending Tripoli, surrounded as it was by enemy territory, there were added issues of governance. In a bold move to address these difficulties, the Chapter General of 1548 famously discussed Jean de Valette’s stillborn proposal that the Order’s seat of government should be transferred from Malta to Tripoli. But Tripoli was also an economic lifeline for the Maltese traffic in African slaves. The fall of the North African outpost in 1551 brought to a close two decades of brisk commercial interaction between the two Hospitaller domains. The historiography has long emphasized Malta’s rise as a corsairing entrepot under Hospitaller protection, and further evidence of this is also presented by Abela (186-9). The other side of the story is less known, and the author is rightly eager to show that early Hospitaller Malta was also a centre for the peaceful exchange of goods with North Africa and the Levant. Abela makes extensive use of notarial deeds to reconstruct the business in African slaves, oil, wool, skins and hides, to mention some of the chief commodities being shipped northwards. Tribunals for commercial litigation were set up at Vittoriosa. The evidence shows that both Christian as well as Muslim merchants benefited from certificates of safe conduct issued by the Order, even as its identity remained firmly bound to holy war. A list of such safe conducts is provided in an Appendix (219-28). Alongside the busy traffic in slaves there grew a whole system of redemption. Greek merchants operating from their new Maltese base, armed with the papal concession to trade with Muslims, thrived in the North African trade. The ample bibliography indicates the author’s wide-ranging primary research in local archives as well as relevant secondary literature (229-51). The reader will not find a traditional history of Malta in this volume. The focus is mainly on the remarkable growth of the new society and economy based at the harbour area. The book’s main thesis, namely early Hospitaller Malta’s active role in Mediterranean trade, is confidently supported by the evidence. The notaries of the period, some of whom had accompanied the Order to Malta, provide some of the best examples to demonstrate this trading role. The backdrop is the transformation of Vittoriosa from the small suburb it was in 1530 into a commercial hub where merchants of various nationalities congregated to make deals and sign contracts. It was also the home port of the Knights in Malta and their galleys, and the perimeters of their monastic collachio could not hold back the social and commercial interaction of the subjects they gathered around them. The transformation of Vittoriosa into a new town of Malta was a story of commercial success, but also of militant determination; one should not lose sight of the fact that the rapid changes were under way in the early decades of a government by a religious military order which embraced holy war as one of its principles. It was a society which was severely tested in 1551, and then challenged in a fundamental way in 1565. In studying the Maltese story in the classical ‘Braudelian’ Mediterranean, the author is drawn to works of economic history on late medieval Mediterranean island societies – notably 14th century Majorca and 15th century Sicily. Future research will have numerous opportunities to expand on this research, not least in surveying later periods of Hospitaller rule, and in comparing Malta with other Mediterranean examples. Students who wish to investigate subjects such as institutional development and commercial interaction will find in Abela’s work an important constant point of reference. Scholars of 16th century Malta, and indeed of the wider Mediterranean, will find the remarkable tale of early Hospitaller rule retold through people from all wakes of life whose lives were restored from the notarial archives through Joan Abela’s painstaking research. Recovering from the setback of the loss of Rhodes, the Order revived by settling in the central Mediterranean, and exploiting the opportunities provided by its new home. The disadvantages of peripheral location and a lack of resources were transformed into opportunities for corsairing and commerce. In hindsight, one could say that the epochal changes in Malta’s social, commercial and maritime history from 1530 to 1565 described by Abela were laying the foundations for a new Mediterranean city-state which was to emerge with the building of Valletta.